(quoted from Theodore Hesburgh, Reader’s Digest, Jan. 1963, 25; in Richard Evans’ Quote Book , 11). “Elder Monte J. Brough, formerly of the Seventy, tells of a summer at his childhood home in Randolph, Utah, when he and his younger brother, Max, decided to build a tree house in a large tree in the backyard. They made plans for the most wonderful creation of their lives. They gathered building materials from all over the neighborhood and carried them up to a part of the tree where two branches provided an ideal location for the house. It was difficult, and they were anxious to complete their work. The vision of the finished tree house provided tremendous motivation for them to complete the project. “They worked all summer, and finally in the fall just before school began, their house was completed. Elder Brough said he will never forget the feelings of joy and satisfaction which were theirs when they finally were able to enjoy the fruit of their work. They sat in the tree house, looked around for a few minutes, climbed down from the tree—and never returned. The completed project, as wonderful as it was, could not hold their interest for even one day. In other words, the process of planning, gathering, building, and working—not the completed project—provided the enduring satisfaction and pleasure they had experienced. 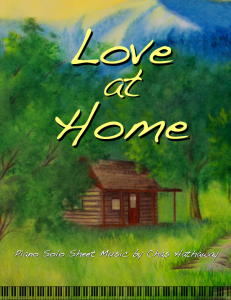 The sheet music for this piece is available on my website. I live in a mansion. There are so many rooms, and so many doors, that it would take more than a lifetime to explore what is in them all. From one room, I can explore the sciences, and watch the progression of the stars and planets. I can chart the known universe and discover things that it has taken mankind centuries to understand. From another, I can learn the religions of the world, make connections with things divine, and come to a deeper understanding of why people are the way they are. From another, I can become my own symphony, and follow the practices of the master composers. I can perfect the principles they have learned and carry them on to new levels. There is a room in my house where I can practice medicine and learn how the human body works. In this room, I can also learn how to strengthen the powers within my own body through exercise, activity, proper nutrition and rest. In one of the larger wings of my mansion, I can enter a fantastic world with creatures and people that most people only meet in dreams and movies. I can converse with them, and in essence, leave the world entirely through time machines and spaceships. I have rooms that bare the perfect resemblance of locations all around the globe. I have been to Egypt, China, South America, and Africa without having to leave my home. In my favorite room, I have met the Savior and His prophets. I have come to know God, and converse with Him regularly. I have met Adam, Enoch, Abraham, and John the Baptist. I have met the reformers and those who took part in the great restoration of the Gospel. I have visited many of the rooms in my mansion, and plan to visit many more. My house is small, and my means are meager. But in every room, there are books. Okay, so obviously the most ideal way to get an education in most fields is to go to college, and for many jobs out, it is required. But let’s face it, there are so many fields out there. If you’re like me, you have so many interests that it is impossible for you to get a college education in all of your interests. Also, many people are not in a position to go to college at the moment. http://www.youtube.com/edu – you know about Youtube. Well, this is a branch of Youtube that specializes in good educational material. Not just anyone can get stuff on here, so it’s a big step up from regular Youtube, and it’s a fun source of learning in all kinds of fields. http://www.ted.com/ – again, not a place to earn a degree, but if you want to get excited about learning, this is a fun place to go. TED is a collection of fascinating lectures (yes, lectures CAN be fascinating!) that give an interesting perspective on various fields. http://www.openculture.com/2007/07/freeonlinecourses.html – if you prefer getting your information from reputable colleges, here’s a directory of podcasts that are done by colleges such as Stanford, Harvard, Yale, etc. Just putter around the site to find the subject you’re looking for. Check the Thrift Stores: As soon as a book becomes obsolete (by college standards that can mean the book has been published for a year and a half and now the photos in the book need to be reorganized), the thrift stores such as D.I. fill up with college textbooks. After I paid nearly $100 for an astronomy book in college, I found a stack of twenty of them at D.I. the next semester for two bucks a piece. Ugh… but that’s good for people who are wanting an education outside of school. Libraries: They’re still around, believe it or not. In this “Google any question” era that we live in, this is easy to forget. Pick a topic, go to the library, and read all you can on the subject. School libraries: Most school libraries are open to the public. You may not be able to check things out without a student card, but you can read what you want while you’re there, and if you take your digital camera, you can get instant copies of pages you want to read more about. This is NOT a comprehensive list. Fill us in! What ways have you found for educating yourself on different topics? * Clearly there is a lot of junk out there, and one of the great purposes of education is to train you to recognize credibility and bias. You need to learn to check the sources on information. Just because it sounds legit, or the information is worded in an educated manner doesn’t mean the content is of any real value. The best lies are coated in great disguises. So check your sources! Read more entries with tips and ideas! Hooray! 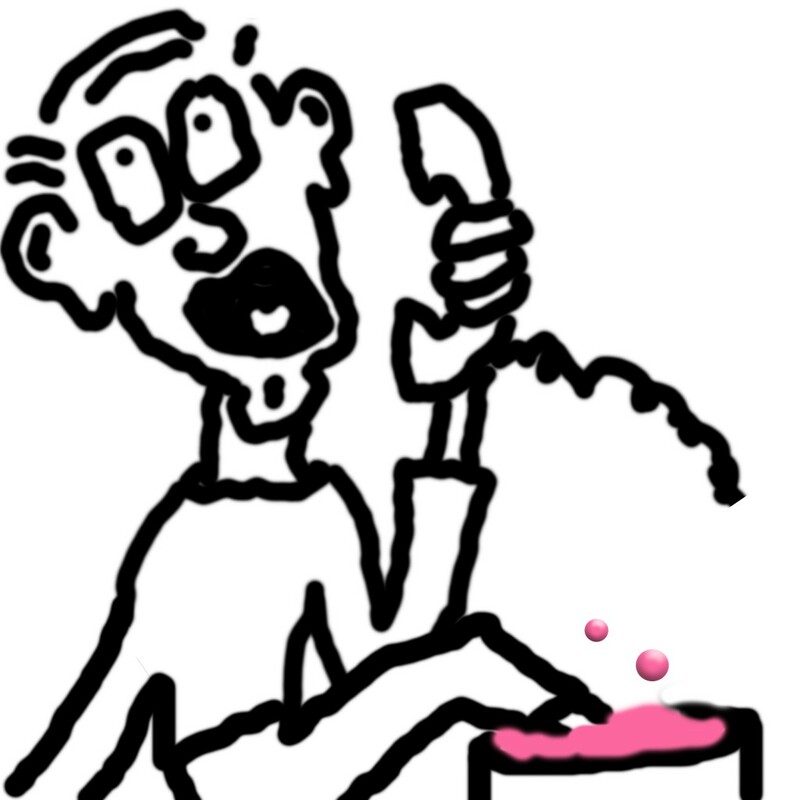 Another Telemarketer called! As usual, this was totally on the spot. I started with one idea, which flopped pretty quick. The rest of the time I bumbled along, but I think I’m pleased with the result. One of the funnest things to do is get together with friends and have a Jam session. I’m just lucky enough that my best friends are also family. Ria and Jake are both incredible on the piano and flutes. This was a unique jam session because all of the flutes played were made by Jake. The solo piece Jake plays is also his original composition – and quite amazing.